Aveda Canada is offering a "Stimulus Package" during September to "relax your senses and your wallet"! To get this freebie, you must bring in this coupon. The Stimulus Package is only available at participating Aveda locations across Canada, see the coupon for the specific locations. Little Soles high quality footwear for toddlers are on sale again at www.enviius.com! Currently there are just 12 styles for sale, starting at only $11.95! I bought a pair of these for my one-year-old during the last sale, and I absolutely love the fit and comfort (I'm sure my son loves it too!). Enviuus.com is a free members-only site which features online sales of premier Canadian and International designer fashion and accessory merchandise at up to 70% off retail prices. Each online sale showcases one to two premier brands and the sales only last from 48 to 72 hours. Quanities for each sale are limited, so it's best to shop early as merchandise is sold on a first come, first served basis. You can earn $10 credits too! By inviting your friends to join as a member to Enviius.com, a $10 credit is earned when the new Member makes their first purchase. Membership is free! Mally Bibs has launched a new website and a new collection of bibs for fall. To make room for their new collection, they're having a clearance sale of the discontinued styles. Mally Bibs is know for their original, stylish leather bibs. 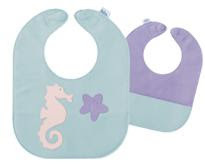 Award-winning Mally Bibs are made in Canada, have a sewn-in magnet closure, is reversible, and has a pocket sewn on one side to catch all of baby's spills. Very cute, trendy designs! Wipe or rinse the bib to clean. A very eco-friendly design, plus you are buying Canadian! Discontinued designs in both baby and toddler size are only available while quantities last. Sale prices start at $22.95 (reg. $32.95). There are also creative art cards on sale. They also have a new shipping special, you will receive free shipping when your order is $98 or more! Stock up for gifts or go in with friends to purchase in bulk! Here's another Mabel's Labels deal for you all! Get 40% off Backyardigan Stationery Kits with this coupon code! Enter coupon code BACKYARD when you check out! This deal is only for Canadians. Shipping is FREE in Canada! With the Backyardigan Stationery Kit you get 40 sheets of paper, 30 envelopes, 30 return address labels, 30 personalized name stickers to put on the stationery sheets, and 30 sealers to add a special touch to the envelopes. Your little one will have lots of fun with this stationery! Regularly priced at $39.99. Take advantage of this deal, and their fabulous Ultimate Back-to-School Combo Pack - 98 personalised pieces - for $39! Works out to about 40 cents a label. And shipping is FREE in Canada. 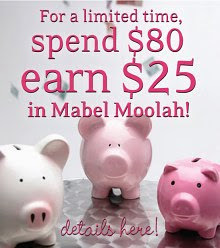 You can also earn $25 in "Mabel Moolah" for every $80 spent: read this post for more details. Mabel's Labels produces durable and cute labels for the stuff kids lose! There are labels for clothes, shoes, sippy cups, utensils, and more! They are personalised and can go through the dishwasher, microwave, washer and dryer. Click here to shop at Mabel's Labels! 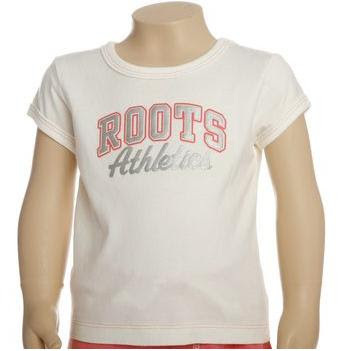 You can still get some great deals from Roots Canada - much of their summer stock is still on sale, up to 60% off. But wait, you can get an extra 20% off the discounted prices online with a coupon code! Shop online at Roots.ca and you can get an extra 20% off already discounted prices with the coupon code EXTRAEXTRA! The code is good for online purchases only, through September 13, 2009. They also have their ENTIRE kids collection on sale at 25% off - however it looks like the extra 20% off coupon does not apply for this. The kids sale is on in-store and online through August 30, 2009. Take a browse through their Babies Sale section, there are T-shirts like the one pictured, as low as $4.95, and with the 20% discount, it's only $3.95! Click here to shop online at Roots Canada! Agoo Clothes for Active Kids is having a Friends and Family sale! Get a huge 60% off this quality apparel with a special code! To get the special Friends and Family discount, use code AGOO60P at checkout! This deal expires September 15, 2009. Agoo Clothes for Active Kids can gives your babies extra protection from the sun with its UPF50 rating. Anti-bacterial, stain-resistant, and wick-away properties add to the value of these garments. Read more about Agoo clothing here. Click here to go to the sale at http://agoo4u.com. 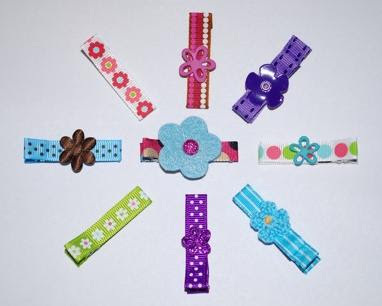 KulaKlips, based in Edmonton, AB, is known for their hip and trendy hair clips. A favourite of many celebrities, KulaKlips is part of this year's Jewel and Stripes Back-To-School Celebrity Gift Bag, a company that is dedicated to raising money for charitable causes. KulaKlips offers more than just clips. There are bands, pony-Os, and soother clips, too. From now until the end of October, save 20% off anything in their shop! Just use code KULA09 when you check out! How cute is a personalised pacifier? 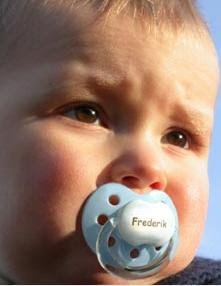 Not only are binkies a much cooler accessory when personalised, you'll be able to easily identify your baby's pacifier. This “mommy-invented” product was to avoid serious germ spreading at day cares as well as pacifier-mixing between toddlers. 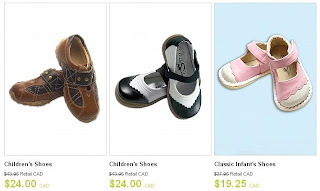 Marketed by a great Canadian WAHM company - MyPacifier.ca has some unique ongoing deals! No doubt that WAHM businesses find it challenging to market their products. Owner Tamara has come up with some great ways to spread the word about her product and give us all deals, too! For the company's one-year birthday, MyPacifier.ca prices are at a special price of $15 for a pack of 3. This includes tax and shipping! This deal is valid until October 15, 2009, which is the company's birthday. No code required, the prices are adjusted on the site! Join their Facebook group and you can get a FREE pacifier on your baby's first, second, and third birthdays! Click here to join their Facebook group and then click on the "Birthday Club" link, where you enter your baby's (or family member's baby, or friend's baby) name. Refer-a-Friend Program. This is an easy way to earn a free pacifier if you have a lot of mommy friends! By referring friends, you will earn points towards a free pacifier. All you need to do is tell your friends about the site, and if they end up ordering online, they should enter YOUR NAME, CITY AND PROVINCE in the "Add a greeting" box. If you have never ordered from MyPacifier.ca, send them an email (contact@mypacifier.ca) with your name, city and province to get set up. You will receive 1 point for every $20 spent by your referrer(s). If they buy 1 pack of personalised pacifiers, you receive 1 point, 2 packs is 2 points, 3 packs is 3 points, and so on. You will receive an email from MyPacifier Canada every time your name is referenced and when you have collected 15 points, you will receive one package of personalised pacifiers! Should you end up purchasing as a result of reading this, please refer Canada-Mom-Deals. To get complete details on the Refer-a-Friend, send an email to contact@mypacifier.ca. GingerbreadMonkeys.com is having a one day sale! 15% off everything, including new arrivals! Use code B2s15 at checkout! Lots of items in their sale section, too. Shipping starts at $5.95 for a $20 purchase. If you're picking up any sporting goods, print and take these SportMart VIP cash coupons with you! You can save up to $85 on everything in the store with these coupons! These coupons are for in-store use only. Click here to go the SportMart site to get the coupons! Coupons expire August 30, 2009. Some conditions apply, please read the fine print. Sign up for the Heinz Baby Club and receive information and special offers throughout the first year of your baby’s life. You'll also receive this free reusable shopping bag, and more goodies for your baby! Once you sign up for either the Home Mailing or e-newsletter, you are eligible to receive a free Heinz Nurture woven reusable shopping bag! Each bag includes a Newborn information pamphlet, a growth chart, and a sample of Heinz Nurture infant formula. The Heinz Baby Club sends you information and offers customized for each stage of your baby’s development. Home mailings are delivered every couple of months starting when your baby is about four months old. Mailings include valuable coupons, detailed information about our wide variety of jarred foods and cereals, feeding suggestions and guides, and tips on what to expect as your little one gets older. Also, you'll receive samples and additional special offers right to your front door! Click here to sign up at the Heinz Baby site! Check out my list of other new mom freebies here! Microsoft is giving a super-sweet, "ultimate" deal to university and college students! MS Office Ultimate 2007 retails for $889, but students can get it for just $64 - that's 91% off! I wasn't familiar with Office Ultimate, and did a quick check on the Microsoft site to see what level of product this is. To my surprise, it's a higher-level suite with 9 applications, click here to view the comparision chart from the Microsoft site and see for yourself. Granted, your kid probably won't need all those applications, but it may come in handy in the future! To get this deal, you must be a university or college student at an educational institution located in Canada, with a valid university or college email address. The site provides a list of the universities and colleges. Check out this deal at www.theultimatesteal.ca/studentdeal. If you're not a student, you can still get a deal - the MS Office Home & Student 2007 version is on sale for $99 until September 25. This version includes Excel, OneNote, PowerPoint and Word. The Big Five and Ten sale is the latest deal at TheBabyMarketplace.com! Select items are on sale for $5 and $10! This sale is on while supplies last! $9 flat rate shipping in Canada ($7 in the US). Click here to shop this deal! Honeybunch has these cute insulated lunch sacks available for back-to-school. Get a special discount off stainless steel containers when you buy one! Your little one's mealtimes at school will be much more colourful with one of these insulated and PVC-free coated cotton lunch sacks. Available for $21.95 from Honey-bunch.com, you can take advantage of a $5 discount off any stainless steel lunch container. Honeybunch says these easy-to-clean steel containers don't leak, won't rust, and the latches are built to last yet easy enough for little hands to operate. They are great for holding sandwiches, pasta, salad, cut fruits. Use code "lunchable" at checkout to get this offer! This deal is available while supplies last, or until August 31, 2009. Don't forget to check out their sale section, too, and sign up for their newsletter before you buy - you'll be emailed a $5 coupon for use online or in-store! The coupon works on the sale items, too! Do you love entering contests and giveaways? Do you host contests and giveaways - for Canadians? We've introduced a new section on the site that provides listings of contests and giveaways for Canadian residents! When you click on Contests and Giveaways at the top of the site, you will find listings of contests and giveaways that are open to Canadian residents hosted by mommy bloggers as was as private companies. Any entity hosting a contest or giveaway for Canadian residents can add theirs to the listings for free! Just click on Submit Your Contest in the Contests and Giveaways menu. We hope that this list will become a handy and useful list to Canadians Moms (and Dads, Aunts, Uncles, Grandparents, etc.) who love giveaways! The listings can be filtered by the end date of the contest or giveaway, which will make it easier for users to enter the contests and giveaways in a timely manner. 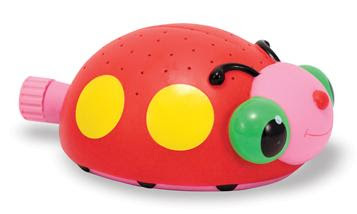 TinyWiggles is a Canadian mother and daughter team in Calgary, AB who design a variety of children accessories. They have an Etsy storefront (www.tinywiggles.etsy.com) where you will handmade wash mitts, washcloths, bath robes for baby, and other lovingly made items. They currently have select items on sale, it's a great opportunity to try out their wash mitts and washcloths for yourself or buy as a gift! TinyWiggles wash mitts are simpler than a washcloth and they make bath time fun for your little one. One side is absorbent terry, and the other is cotton fabric with trendy designer prints. Shipping starts at only $1.75 US, and ships from Calgary, AB, where TinyWiggles is based. This clearance sale ends August 30.2009. Sale ends August 31, 2009. Shipping is a flat rate of $7.50, and if you buy $75 or more, shipping is FREE! 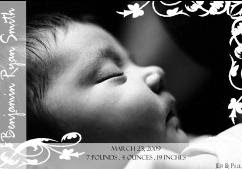 Weecare Diaper Company is a parent owned business located in Langley, BC. If you are in the area, you might be interested in their diaper demos - the next ones are scheduled for August 15 and September 5. This week at Little Earth children's store in East Vancouver, all Green to Grow bottles are 50% off. They regularly retail for $11-15, depending on the size of the bottle. This is an in-store sale, and ends on August 14, 2009. Little Earth offers clothing for children, both new and consignment, consignment maternity, organic clothes, cloth diapers and carriers, and a variety of wooden toys. TheBabyMarketplace.com has their awesome "Gripper Grab and Run" special back on, at an even better deal than ever before! For a limited time, you can purchase a pair of Bical Grippers for just $12 (regularly $26.99)! How it works: you choose the gender and size, they choose the style. What are Bical Grippers? They're these cute little shoes that are also a sock! 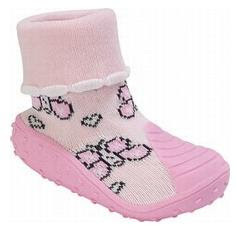 Babies and toddlers can wear them without socks, and the shoe has a very flexible non-slip sole. The design of these shoes makes them great for wearing at home, at the waterpark, or at the beach! If you don't want to have the Gripper style chosen for you, you can still buy them at a sale price of $17.99! There's also a sale on select clothing on brands such as Knuckleheads, Hula Mula and Deux par Deu. Shipping is a flat rate of CDN $9 in Canada; USD $7 to the US. Click here to shop the Bical Gripper Grab and Run sale! Click here to shop the Bical Shoe $17.99 Sale! Brand name kids' clothing e-tailer Growing Growing Gone is celebrating their one-year birthday! For this milestone, they are having a huge sale of up to 80% off! You can get an additional 10% off using code GGG2009! At these prices, stock up for next summer, buy lots of outfits - then you'll be able to offset the cost of shipping. Of course, I always say that you are saving on gas and any parking fees, anyway! The sale ends August 23, 2009. You can now find Huggies Enjoy the Ride Reward points on Huggies Baby Wipes! Look for the Enjoy the Ride Rewards log on the wipes packages. They have some new sweeps and instant win prizes now - enter to win Your Own Backyard Playground, a $250 Sephora Gift Card, a Colour Baby Video Monitor, a $200 Denny's Restaurant Gift card, a $25 Sears card, Huggies Pull-Ups Training Pants, Huggies Diapers Megapacks, Huggies Wipes, or a music download. Here's 24 more free points for you so that you can enter those sweeps and instant wins! Baby Planet Boutique is still having their summer clearance sale on now! You can also use coupon code AUG09NEWS to get 10% off of your next order! Shipping starts at $5.95 for a $25 order. Purchase $100 or more, and shipping FREE! Click here to start shopping this sale! JamTots is having sales galore during August! They have not just one, but two different sales on now! Plus, there's a free gift with purchase offer! There's also a SECOND sale! Buy 2 Melissa & Doug Art Supplies, GET 1 FREE Sale! Also during August, all purchases $75 or more will receive a free JamTots Zippered Wipes/Snack Bag! 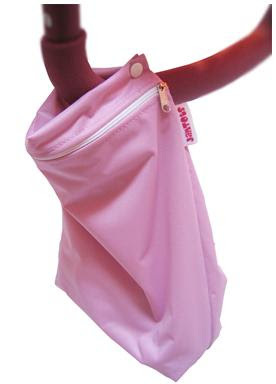 This smartly constructed bag can be snapped around a handlebar or a bag strap! Value: $12.95. Shipping starts at $7.95 for purchases $49.99 or less. Click here to shop at JamTots! Here's another deal for cloth diapering mommies! 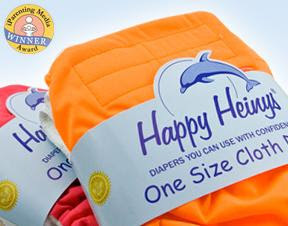 Sweet Peach is having a pre-ordering special on Happy Heiny One Size Cloth Diapers! $22 each! Choose from snaps or velcro closure. Lots of colours and patterns to choose from! $20 each when you buy 12 or more! $18 each when you buy 24 or more - plus, get a free wet bag! Other items you'll find in their store include products for maternity, breastfeeding, baby gear, and body care. They also offer a diapering service, for the area of Perth, Ontario, where they are based. Click here to start shopping at Sweet Peach!